Is it Legal to Keep Bees in Your Backyard? What you will do with the finished product (i.e., honey). While keeping bees in your backyard is not technically illegal in most states across the country, including Nevada, there are some requirements that must be met before embarking on this task. In Nevada, beekeepers must notify pest control companies where their bee colonies are located. Moreover, when applying pesticides, Nevada pest control companies must avoid the colonies in order to protect the bees. The Nevada Department of Agriculture (NDA) has the legal authority to investigate reports of bee kills. The NDA has the power to levy fines or take other legal action, if pesticide misuse occurs. supporting the USDA’s efforts to protect pollinators. The NDA released a Nevada Managed Pollinator Protection Plan (MP3) in the summer of 2016 in an effort to increase communications between beekeepers and pesticide applicators. The purpose of the MP3 is to protect managed bee colonies. According to the NDA locally, the biggest threat to beekeeping in the state of Nevada is the Africanized honey bee. This bee is located in southern Nevada and is an invasive species and attack intruders at a much higher rate than European honey bees. Accordingly, the state of Nevada has a quarantine program in place to contain Africanized honey bees and keep them from migrating north of Clark County. One method the NDA recommends to keep these bees in their place is re-queening honey bee colonies in Clark County to control Africanization. 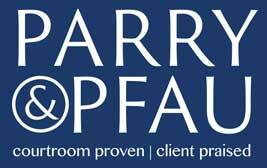 If you or someone you know has questions about what is legal in Nevada, or has suffered an injury due to the negligence of another, contact the skilled Las Vegas attorneys at Parry & Pfau. We can help guide you through the Nevada legal system, as we have fought for the rights of the injured across Nevada for years.